Expansion module for aquaero 5 XT/PRO/LT and aquaero 6 XT/PRO/LT (not included). 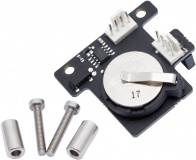 The Real Time Clock expansion module supplements your existing aquaero with a battery buffered real time clock, especially interesting for aquaero controllers that do not have a permanent USB connection to a PC. The module can be mounted directly on top of the aquaero controller, suitable monting material is included. When monted, the Real Time Clock expansion module is connected to the aquabus (high speed) connector of the aquaero, the module itself features two aquabus (high speed) connectors for further expansion modules. Aquaero firmware version 1024 is required for operation. 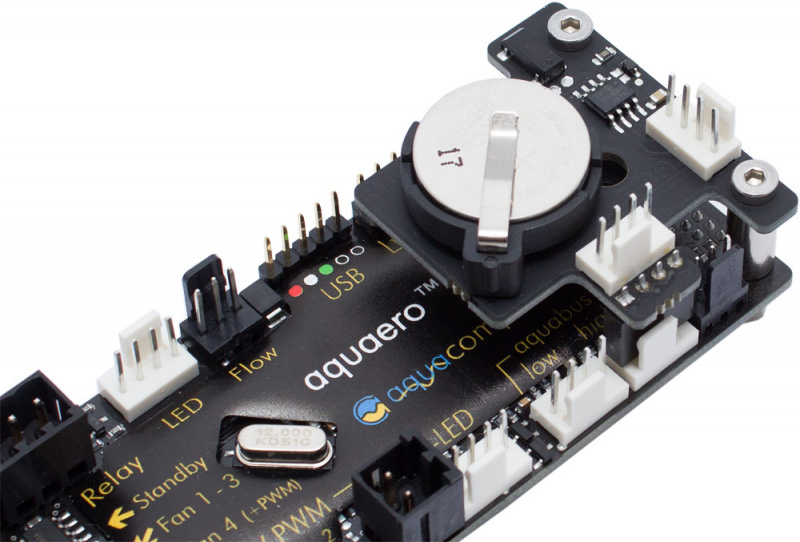 The firmware can be updated using the most recent version of the aquasuite software. The aquasuite software is available for download in the support section of www.aqua-computer.de. This product was added to our catalogue on Monday, 11. June 2012.